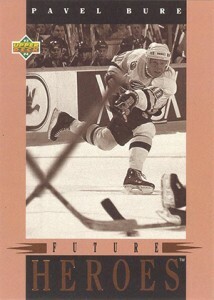 1993-94 Upper Deck Hockey continues with the brand's focus on stellar photography and glossy cards. While other companies were starting to push their own higher quality products at this point, Upper Deck's early focus has ensured this set continues to stand out decades later. 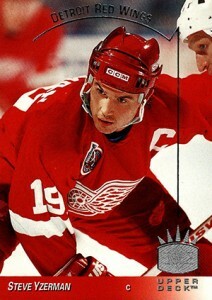 A growing number of inserts includes the hockey debut of the SP brand. 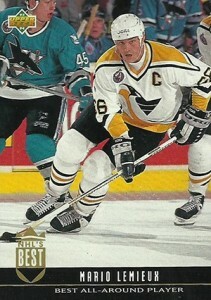 1993-94 Upper Deck Hockey released in a pair of series. Series 1 has 310 cards. The card maker abandoned the High Series concept it used in earlier sets for a more traditional Series 2. 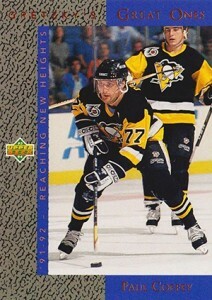 Previous High Series sets had a mix of Low and High Series cards in packs. 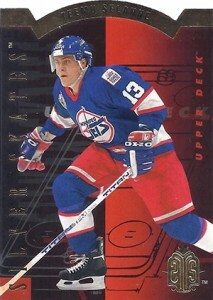 1993-94 Upper Deck Hockey Series 1 and Series 2 cards are packaged separately. 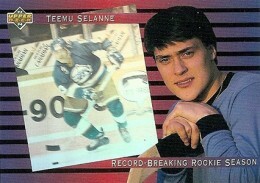 As far as rookie cards go, there are a couple of strong players but none that really set the hobby on fire. 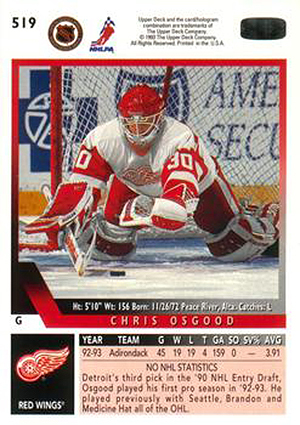 Chris Osgood and Jason Arnott both had long careers that some may say were under-appreciated. 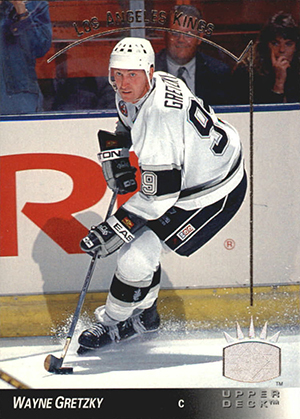 They're the top rookies in the product, which also includes Sergei Gonchar, Jason Allison and Mike Peca. Inserts continue to be a growing focus. And while none are terribly rare or valuable, a fractured distribution spread across both series makes building a master set complicated. In addition to Series 1 and Series 2, there are Canadian, American, retail and jumbo configurations, each with their own exclusives. 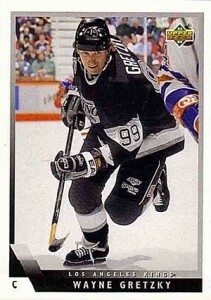 The most notable of the 1993-94 Upper Deck Hockey inserts is SP. The 180-card checklist makes it like a set within a set. 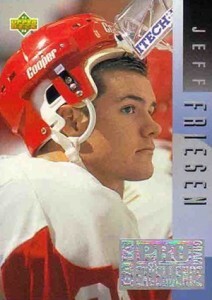 More importantly, it launched one of Upper Deck's most popular brands in the sport. 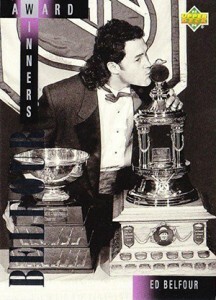 Silver Skates were very popular when the product was still fresh. 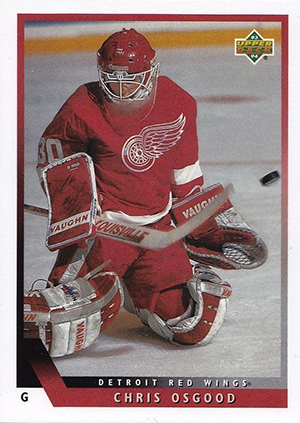 The die-cut cards may not stand out today, but at the time they were considered premium. The fact that half the set was hobby-only and the other half was retail likely helped the appeal. 8 cards. Inserted 1:30 Series 1 Canadian packs. 10 cards. Inserted 1:30 Series 1 US packs. 10 cards. Inserted randomly in Series 1 packs and one per Series 1 jumbo pack. 20 cards. Inserted one per Series 1 jumbo pack. 6 cards. Randomly inserted in Series 1 packs. 10 cards. Inserted 1:30 Series 1 US retail packs. 15 cards. Inserted 1:30 Series 2 Canadian packs. 20 cards (10 hobby, 10 retail). 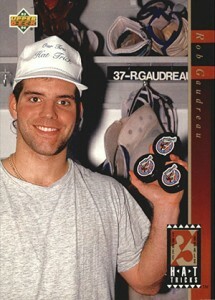 The 1993 Upper Deck Hockey set is strong in the photography and design department. What hurts it is again junk wax overproduction and for this year the lack of a superstar rookie card like in previous year issues. 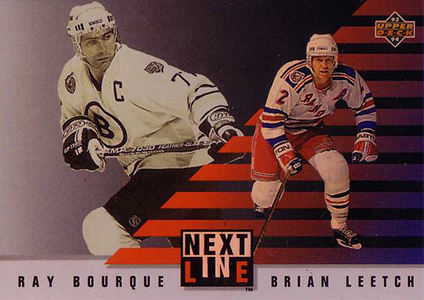 The SP and silver skates inserts do help make up for the lackluster rookie card checklist but not completely.